Also all i had was korean newspaper.. (and no i am not korean lol).. it was funny i showed my mom my nails.. and she goes "why would you do that.. you can't even read the words".. lol! Ii mean use what you have right?! =).. I actually like how it looks with the korean hanzi.. i can imagine how it would look with japanese or chinese.. at least i would be able to read the chinese lol! *Please read on for a how to and more pictures. Clean nails and a base coat.. then paint your nails how you want them and let them completely dry. This next step is important. Take your finger out and place a newspaper clipping over the nail bud and press lightly for about 5-10 seconds ( do not rub, you don't it to be smudged).. or until the words/letters transfer. Make sure not to press too hard or else the paper will stick to your nails. If your polish is completely dry then you won't have to worry about that though. Last step is to make sure you put a top coat! 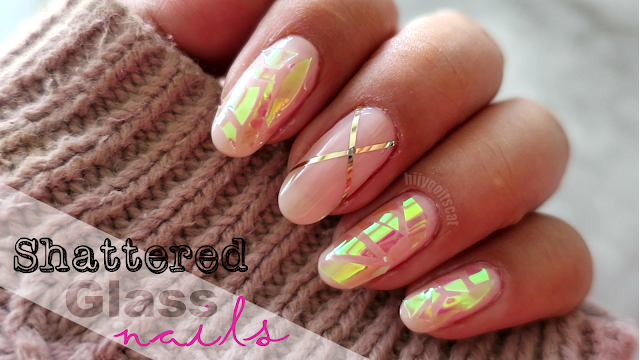 This is a must do for this type of nail art. If you do not put a top coat then the ink on your nails will rub/wash off. Knowing me i had to do a little more =).. here are pictures for the final results.. and i love the end result. I absolutely love my nails.. I will be keeping them on for as long as I can! It took me a few times to get it right, so don't get discouraged if you don't get it right the first time. If you try it or have already done it, post if on my facebook page.. i would love to see it! Ciao ciao for now! you should do it!! ooh - running over to your blog - lol!! thanks for the heads up! I think I will have to try this out. When my boyfriend is asleep or something since the smell of nail polish gives him headaches :( It looks so cool!! love how u use korean newspaper =) ur nails look amazing!